Low noise: High-density Oxygen-free copper core with 112*0.10mm+semiconductor braid shielding, double shielding make enormously powerful and clear sound image. Afford hard work: The thick PVC-jacket with 7mm outer diameter, strain relief and good protection against bending. Suitable for every situation both outdoor and indoor activity, difficult to damage and broke. 24k Gold connector: connectors use pure copper contact, with 24k gold plated, try best to ensure transfer sound clearly and stable. Flexible and soft: PVC jacket make cables flexible and soft when use, easy to coil at the end of your show. Lifetime: Precisely machined and carefully assembled,guarantee to the lifetime. 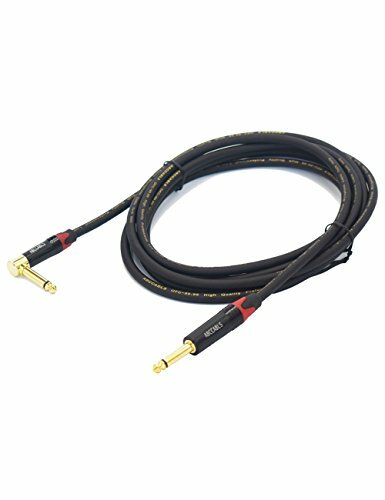 View More In Instrument Cables. If you have any questions about this product by ABCCABLS, contact us by completing and submitting the form below. If you are looking for a specif part number, please include it with your message.